Charbell Miguel Haddad Kury is a Medical Doctor and Professor of Medicine, graduated from the Medical School of the Municipality of Campos dos Goytacazes, State of Rio de Janeiro, Brazil in 2003, an Expert in Public Health from the Medicine School of Campos dos Goytacazes, in 2004. 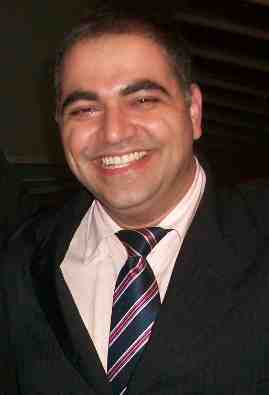 He is also a Pediatrician Infectious Disease Specialist from the Jesus Hospital, Rio de Janeiro in 2007. He is also a Professor of Pediatrics of the Medicine Schools of Campos dos Goytacazes and the Federal University of Rio de Janeiro, Brazil. He has a Master’s degree in Applied Microbiology and Parasitology from the Fluminense Federal University, in 2013. He is a Pediatrician and Neonatologist of the St. John the Baptist Hospital, Municipality of Macae, State of Rio de Janeiro, Brazil, since 2005 and Coordinator of Immunization and Health Surveillance of the Municipality of Campos dos Goytacazes, State of Rio de Janeiro, Brazil, since 2009.